A new game show has gone into production that may very well take the place of the beloved “Deal or No Deal”. 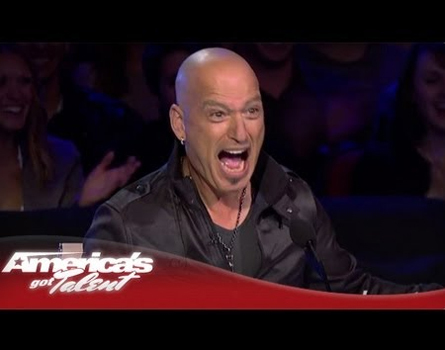 This one is also hosted by Howie Mandel and produced by a “Deal or No Deal” producer. 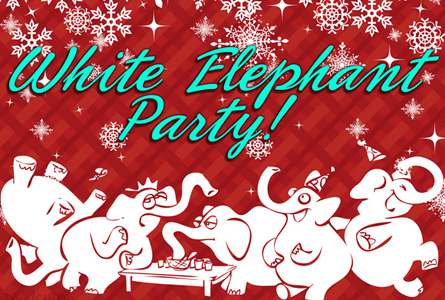 The game show, “White Elephant” is currently casting in Southern California. 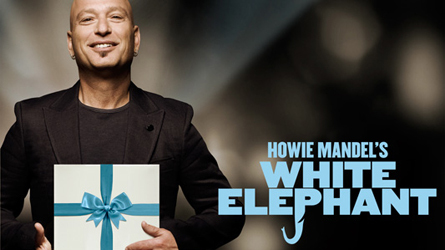 But, first, what is a “white elephant”? As expected, for people who know what a White Elephant gift party is, are already familiar on how to play the basic version of the game. The show is based on the popular Northern American party that consists of at least six players called a “white elephant gift exchange”. White Elephant Gift Exchange parties are popular in North America! In this gift party, gifts are exchanged that are normally not expensive and sometimes may be used items party goers bring from home. The term “white elephant” refers to a gift whose maintenance costs is higher than its usefulness. In the spirit of the white elephant, participants bring “gifts” that they have received but do not want, or an act of “re-gifting”. Everyone participating in a white elephant gift exchange party brings a wrapped gift. People take turns at choosing gifts. After the first person unwraps their gift, the second person can unwrap another gift, or steal the one that has already been opened. The person who has their gift stolen can choose either a wrapped gift or one that has been opened to “steal” in some versions of the game. Once all gifts have been unwrapped, the game is over. Many variations of the game have evolved. Some include: gifts are to be from home and not purchased; the Host provides several wrapped packages that contain cards with instructions instead of gifts; in a total anonymity version of the game, standard-sized boxes are used or gifts are wrapped using the white side of gift paper. In the NBC version of what they’ve turned into a soon-to-be broadcasted game show, A contestant selects a box from a warehouse full of unmarked packages containing millions of dollars in prizes, showing what’s inside to the others. Then, the next player has the options of – do they steal a prize that has already been revealed, or do they take a chance with another unopened box, hoping what’s inside is worth more? 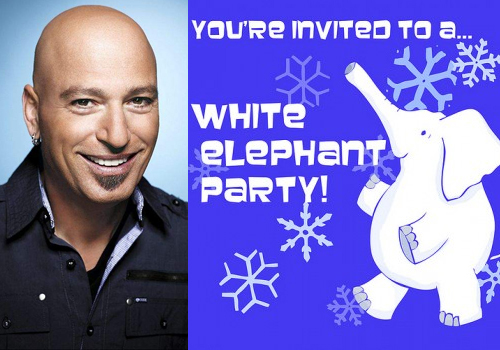 “America’s Got Talent” host Howie Mandel also to host “White Elephant”. When there are two contestants remaining, Howie will reveal what’s inside the boxes and give the players a choice: share… or steal. If both players choose to share, they will each keep the prizes they have won in the prior rounds. If one player shares and the other steals, the player that chose to steal will go home with all the prizes. But if both choose to steal, they both go home with nothing! All you need to do is submit the following info to nbchowiescasting@gmail.com – name, occupation, phone number, email, current city, what makes you a great contestant for this show, and two photos of yourself. “White Elephant” is coming soon to NBC! As a white elephant gift exchange aficionado with a passion for sharing this traditional party game, I am very excited that Howie is taking on this project. Our team of recreation specialists have created several variations of the holiday gift exchange party. We are very excited to see how they have adapted the game for a television format. i WOULD LIKE TO BE A CONTESTANT ON YOUR NEW ” WHITE ELEPHANT GAME SHOW”. I LIVE IN NORTH MIAMI, FLORIDA AND I NEVER BEEN ON A GAME SHOW. CAN I APPLY ONLINE TO BE CONTESTANT. PLEASE EMAIL ME THIS INFORMATION. THANK YOU FOR YOUR TIME AND HAVE A NICE DAY. i will like to be on white elephant games showim fun, i have a great personality. Hey, I would love to be a part of the game show. Please email me the information. Thank you so much!